1 The IP that is? Internet without its own structure can not exist. Computer, like every house in the city has its own address, which determines its location on the Internet. Computer, which is connected to the world wide web or included in the local part of the network gets a unique private IP address. It is asked for a specific type, and his knowledge makes it possible to manage servers, desktop and network games. Now we find out, what IP? 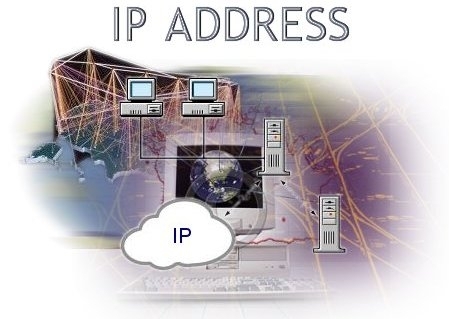 IP address is a unique identifier of the computer, connected to the LAN or WAN Internet. Represent IP addresses 128-bit and 32-bit versions. 32-bitovaya version(IPv4) - it is written in the form of 4-decimal, which are separated by dots. This version is considered to be more convenient, so it is often used. IP address is the primary address type, whereby the transmit packets between IP- net. Assigns an address to the administrator to configure a computer device. Address consists of two elements: Unit number and network number. If for any reason the network is isolated, her address administrator can choose from a registered network units. If the network is part of the Global Network, then its address is given Internet registrar or provider. IP address locally assigned to the computer, to gain access to the inside of the network provider resources. Any number can be seen in the local address to 255. External IP address is the address assigned during installation to the Global network. The address can be assigned not only to a single computer, but also a whole host, that will work on a single IP address. External address have absolutely all Internet sites. It is between your address and any other data interchange takes place, eg, text, music or game. If the computer recorded only the IP address of the internal, in the vastness of the Internet your computer will pass through the external IP address. With the help of intermediaries, there are options for entry into the network. The service provider may provide a. Often by their ignorance, the user can start the server, and finally, unscrupulous users will have free Internet access. To find out a personal IP address launch the command prompt: Start menu, Programs, standard, Command line, which are gaining IPconfig. Thanks to the IP – address can find out the location of the country, cities, and after an advanced search, you can find a provider, whose registered computer. Personal information at the provider will only be available in the log provider.